Have you heard about or seen red spinach? All of us are aware of green spinach and its benefits, but red spinach also contains numerous health benefits. Its leaves are usually round, thick, and rich green in colour, but has a bright red coloured central stem. The leaves and stems of red spinach contain a red liquid. This has a sweet, raw flavour and the texture is very delicate like that of green spinach. Red spinach originates from tropical parts of America. This is usually consumed as a vegetable in many parts of India. Red spinach helps in the process of bowel movement since it contains a lot of fiber. This fibrous food helps in proper digestion and is useful for curing colon cancer, diabetes, cholesterol as well as for weight loss. It helps to improve the kidney function and cleanses the blood after giving birth. Consume spinach with vegetables in the form of nodes to boost kidney function. Take 2 handfuls of red spinach leaves and wash them nicely in running water. Mash until you get a smooth paste. Add 1 tablespoon of lemon juice, 1 tablespoon of honey and an egg and strain the liquid. Drink it once a day for a week till you get best results. Take 10 stems of red spinach roots. Wash them thoroughly, mash until smooth. Add a pinch of salt and stir it well. Strain this and drink at once. Take a bunch of fresh red spinach and wash thoroughly. Mash until you get a smooth paste. Add a teaspoon of salt and stir it evenly. Strain this and then squeeze. Drink it 2-3 times a week. It contains Vitamin C that contributes towards healthy vision. Wash away any impurities from red spinach leaves and mash until a smooth paste is formed. Add a tablespoon of lemon juice, honey and an egg yolk. Stir to blend properly and drink this once a day for a week to increase the blood in your body. Red spinach can be eaten in many ways. They can be consumed either raw or cooked. You can sauté them, use as salad leaves, mix in vegetables, fruits, eggs, nuts, pasta or cheese. This is used widely in Indian recipes with added flavours of spices, ginger, garlic, onions, creams, and chilies. You can also store them dry and refrigerated for about one to two weeks.This is all about red spinach recipe! This remedy is for external use only. You can mince some fresh red spinach leaves into a smooth paste. Apply this on to the wounds of venomous animal bites like snakes, reptiles, etc. Red spinach helps in prevention of premature graying of the hair. 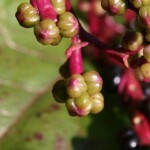 Red spinach has been noted to help boost the body’s immune system. Red spinach leaves contain protein that help to reduce insulin levels in the blood and they also release a hormone that helps to lower hunger pangs. Red spinach leaves contain an essential amino acid, iron, magnesium, phosphorus, Vitamin E, potassium and Vitamin C. These help to fight against free radicals in the body that in turn helps to cure or prevent cancer cells. Take a handful of red spinach leaves. Boil them in a pan filled with water till this becomes half. Cool and consume this stew to cure fever. Hope you found the information useful. Leave us your comments below.